Many cities have a half marathon but only Orlando can boast about our hometown OUC Orlando Half Marathon and the Track Shack Lake Eola 5k in beautiful downtown! Last Saturday, December 2nd, more than 3,500 runners and walkers from 12 countries came to experience the 41st running of this historic event. Well loved by our local community, the OUC Orlando Half Marathon was first run in 1977 and was called the Tangerine Bowl Half. 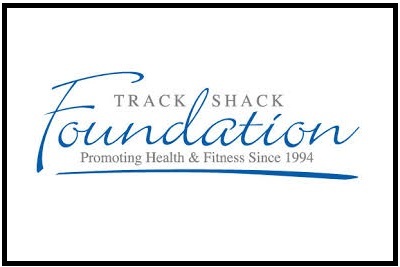 Track Shack and the Orlando Recreation Department created the 13.1 mile course taking athletes through the city's most scenic neighborhoods. Runners and walkers begin at Lake Eola and pass by several other beautiful lakes while cheering fans encourage them. 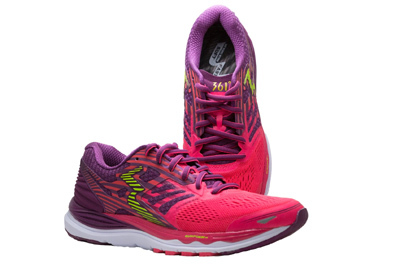 This year's event attracted runners from Japan, South America, UK, Canada, Sweden and the Netherlands! Although the day was warm, it was a PR (personal record) course for many! Neighbors came out to cheer on runners, plus there were nine entertainment venues including local bands, DJ's, jazz musicians and even photos with Elvis Presley! Our hometown utility company, Orlando Utilities Commission served clean, fresh water from the hydrants and more than 500 volunteers made the event successful. Volunteers also helped monitor intersections with our local police and best of all celebrated victory with each finisher by awarding them with a beautiful Florida shaped medal! The after party was a great way to celebrate as well. The overall winners had outstanding performances! Embry-Riddle alumni Evans Kirwa finished first in 1:04:58, four seconds off the course record set in 2016. Evans who resides now in Colorado Springs, CO also won the 2012 OUC Orlando Half. Sara Trane of Stockholm, Sweden raced to a first place finish in 1:22:55. Anja Drew of Maitland was second overall female running 1:25:19. Two local runners, Gary Kane and Alan Musante kept their 41 year streak alive just by finishing! Read Orlando Sentinel story and view photos. Events like this exist because of great community outreach. The continued support of sponsors including Publix, Florida Hospital, Aetna, Brooks, Florida Dairy Farmers and Downtown Orlando and the volunteer support benefit two local charities, Track Shack Youth Foundation and Florida Citrus Sports Foundation. 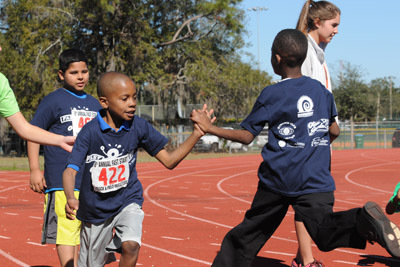 "This event actually makes a real difference for the youth in our community," says Betsy Hughes of Track Shack, "Our goal is to keep Central Florida healthy and starts with our children." OUC also supports the efforts to make this event Florida's only Certified Sustainable running/walking event. "This event actually makes a real difference for the youth in our community," says Betsy Hughes of Track Shack. “Our goal is to keep Central Florida healthy and starts with our children." 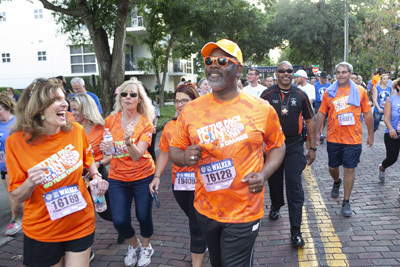 OUC also supports the efforts to make this event Florida's only Certified Sustainable running/walking event. 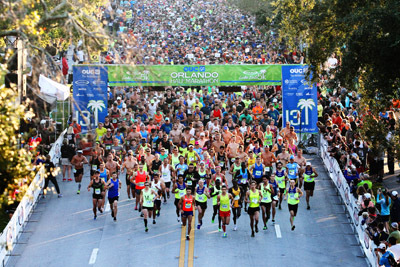 Is the OUC Orlando Half Marathon your hometown half? Tell us why!